We are going to have our Easter Egg hunt Good Friday before Easter. I will be providing treats and baskets. Feel free to bring treats from home as well. 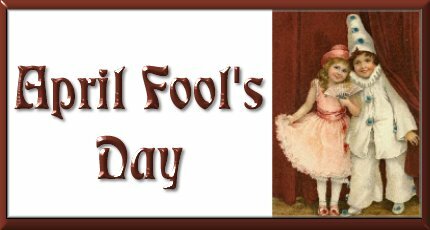 Thursday April the first is April Fools' Day! Have your kids wear something silly and let me geuss what it is that's wrong. The kids will love to play this trick on me! Thursday April the 22nd is Earth Day. We will be taking a nature walk this day. The reason is so the children can see how beautiful nature is and how important it is to take care of it.